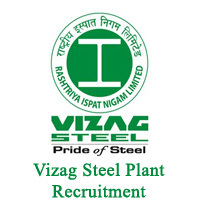 Vizag Steel Plant Recruitment Notification 2018.Rashtriya Ispat Nigam Limited (RINL) is the corporate entity of Visakhapatnam Steel Plant (VSP) inviting applications for the positions of Marketing Trainee.Interested and Eligible candidates can apply for the positions. Last Date for Submission of Application is on July 21st, 2018.. Applicants have upper age limit 27 years as on 01st February 2018. Candidates should have possess MBA/PG degree/PG diploma in HR management with 60% of marks from any recognized university. The mode of selection will be based on the UGC-NET examination and personal interview. Aspirants need to pay the application fee Rs. 500/- for general & OBC candidates and Rs. 100/- for SC/ST/PWD candidates.